Baked apples are very much a childhood winter memory for me, though not quite as exotic as this recipe, they came stuffed with raisins and walnuts and drizzled with honey and butter. Preset the oven to 180C and have ready a heavy enameled iron casserole, I used my favourite London bus red Le Creuset Buffet Casserole. 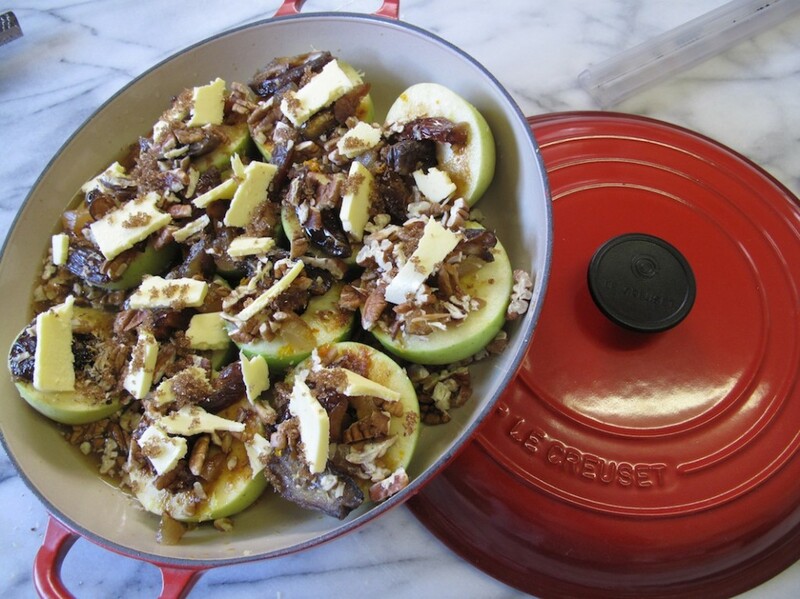 Cut the apples in half and, with a corer, remove the core and place the apples in the dish. Stuff half a date into each apple half and strew the remainder over the apples. Sprinkle over the crystallised ginger and a little of its syrup. Drizzle over a mixture, or indeed one, of the syrups. Grate the rind off the orange and the lemon and sprinkle over the apples. Juice them and pour over the juice. Sprinkle over the nuts. Dot the apples with butter and sprinkle over the brown muscovado sugar. Pour a little water into the casserole down the side. Bake in the preset oven for 40 to 45 minutes or until the apples are cooked. This enchanting little book was published recently by Tru-Cape, who market premium apple and pears, and sent to me as a gift. 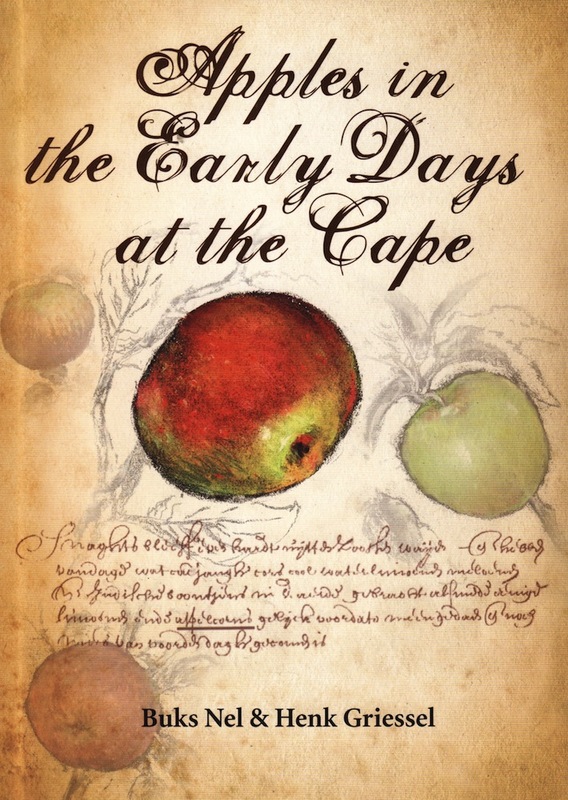 It starts with the Wijnappel brought to the Cape by Commander of the Dutch East India Company Refreshment Station to the return of the Wijnappel to South Africa’s orchard in this century. Buks Nel, an old friend, is not only one of our leading apple gurus, he is a wine judge and wine writer as well. Do look out for their products on your supermarket shelves, each fruit has a little Tru-Cape sticker on it.